6 one-bedroom, ground floor self-contained units, each can sleep 1-5 persons., fully equipped kitchen, lounge with SKY TV, shower, toilet, wash basin, electric blankets, heating, cot/highchair. 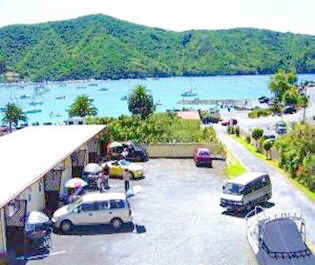 Ample car/boat parking, gas barbecue with outdoor furniture. Guests laundry is available. Eftpos, Visa, Mastercard. Member of MANZ. 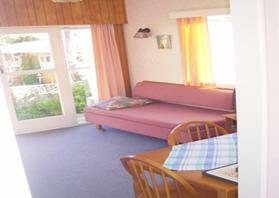 Beachside Sunnyvale Motels are situated in beautiful Waikawa Bay. Adjacent to children's play area, public boat-ramp, dinghy / canoes hire (Beachside Sunnyvale Motels) Only 100M across the road from the beach. 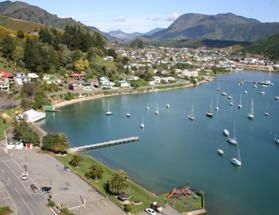 This picture shows the Waikawa Bay beach and the picnic area. Comfortably landscaped for family leisure activities. On your lucky day you may see dolphins, or a super yacht in the bay. 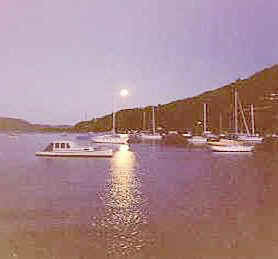 Waikawa Marina is about 3-4minutes drive from our Motels. Close to Historical Karaka Point. 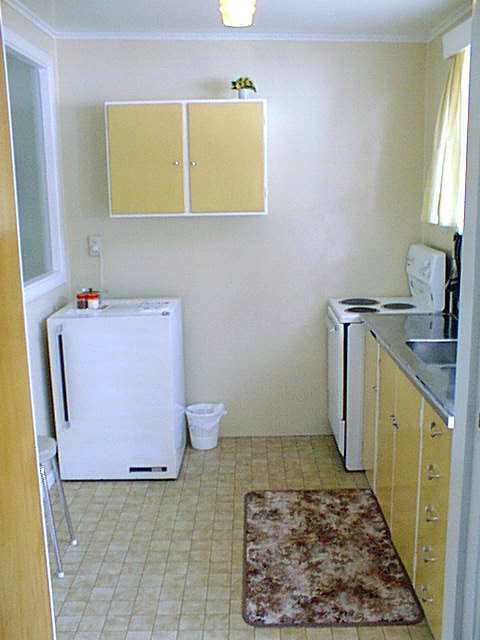 Beachside Sunnyvale Motels: Barbeque facility is available for guests. 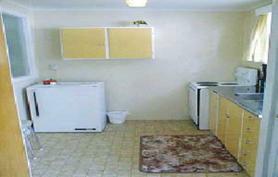 Each is fully equipped with a microwave, full stove, refrigerator, cutlery, crockery pots and pans. 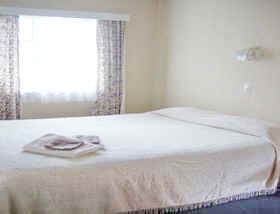 There is either a Queen sized bed or Two single beds, and in the lounge either a double or single divans with a single bed. We would help advising which unit is suitable for you. Clock radio, electric blankets. Comfortable lounge with SKY TV, table, etc. Fold out beds are available too. 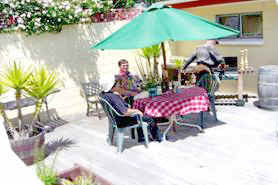 Beachside Sunnyvale Motel: Secluded outdoors picnic area. 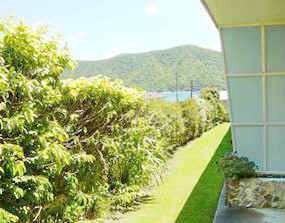 Each unit opens out to a grassed, maintained tranquil garden area, ideal for reading and relaxing.